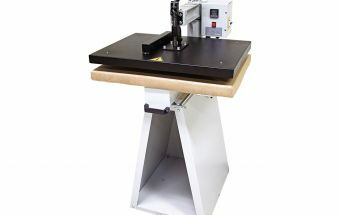 The EL 800- MANUAL HEAT PRESS is an easy to handle manual printing machine. This heat press is capable of applying several types of transfers and allows for arranging prints up to an area of 520 x 720mm. The print applying process is facilitated thanks to its strength enhancer that makes the work much more practical and causes less fatigue to the operator. The front opening drawer system is more convenient and safe for the operator because it minimizes his contact with the heat.